Education Minister, Dr. Mathew Opoku Prempeh has said enrolment under the Free Senior High School policy for September 2018 will cover more beneficiaries than in 2017. He disclosed that there had been a 10% increase of prospective beneficiaries who have registered under the policy this year with placement expected to increase by 30% than last year. The Minister revealed this when he joined hundreds of supporters of the New Patriotic Party in the Manhyia South Constituency for a health walk and free medical screening. He said the government would put the proper measures in place to address challenges affecting the implementation of the policy last year. Dr. Opoku Prempeh maintained that Ghanaians had embraced the pro-poor policy and government will work to ensure the program is sustained. “Ghanaians will be told very soon. It is going to be more exciting. The number of kids who have registered has increased by about 10% over last year. The number of kids that we are expected to place is going to be probably 30% than last year. So Ghanaians have voted positively for the Free SHS policy,” he revealed. The Minister also said Ghanaians should expect more excitement as the government prepares to start the second round of the policy. 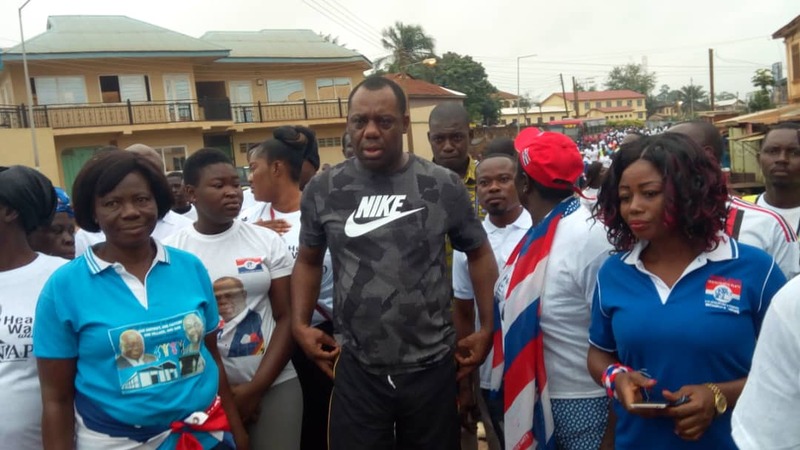 The Minister who is also the Member of Parliament (MP) for the Manhyia South constituency led hundreds of his constituents and other supporters of the NPP in a walk through some principal streets of the constituency. He explained that the party in the constituency as part of its programs has decided to organize the event to their existence ahead of the party’s National delegate’s congress in Koforidua. He said the Akufo-Addo led administration will continue to roll out policies and programs that will benefit the Ghanaian populace. The event was climaxed with a mini-rally and free medical screening.